Eskaya Beach Resort & Spa is featured in Rolls-Royce Enthusiasts’ Club Yearbook for 2015, joining a selected and few luxurious resorts selected all over the world for their opulence and elegance that befits royals. 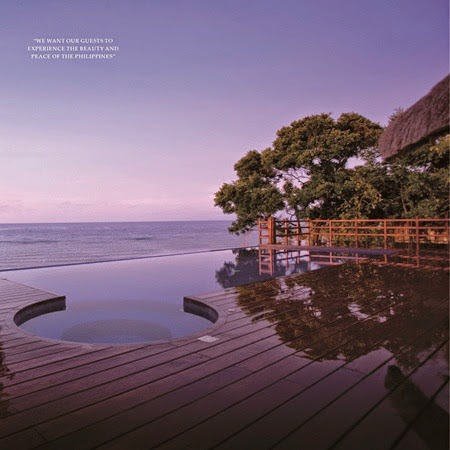 The resort located in Panglao Island in Bohol is the only Filipino luxury resort featured in the 444-page glossy coffee table book published to mark the 90th anniversary of one Rolls-Royce’s most revered cars – the Phantom. The book explores the origins of the Phantom, as well as the stories and personalities that go to make it the “best car in world” to this day. It also includes stories about the best luxury hotels, resorts and hotspots in the world; elegant fashion and fragrances; stylish dwellings and living spaces; essentials for globetrotting; finest jewelries; most sumptuous food and drink. “Eskaya is a good fit for Roll-Royce. They are both the embodiment of luxury and opulence,” said Richard Lim Jr., Eskaya’s managing director. Eskaya is in a good company. The book also listed 24 other luxury resorts and hot spots in the world such as DharaDhevi Chang Mai in Thailand, Four Seasons Resort Mauritius in Mauritius, Hotel Quinta do Lago in Portugal, The Mulia Resorts & Villas in Indonesia, and Park Hyatt in Maldives. Lim said Eskaya has been selected to be part of the book because it is very active in the European market, luring a lot of holidaymakers from the continent into its white, powdery shores regularly. “We are very honored to be associated with Rolls-Royce. Eskaya’s inclusion in the book will help attract more high-end guests – especially the Phantom car enthusiasts worldwide,” said Lim. Eskaya’s membership in the Small Luxury Hotels (SLH), an organization based in UK, also helped the Bohol-based resort clinch a place in the coffee table book. Eskaya is one of only four luxury hotels from the Philippines that’s a member of SLH, which groups together more than 520 hotels in over 80 countries. Eskaya sits on a16-hectare facility in Panglao Island that boasts of private villas and swimming pools amid lush mountains and crystal-clear beaches. Most of the villas have their own private pool, outdoor showers and whirlpool tubs, and a stunning view of the endless sea and sky, all blue and white all year round, especially during the summer season. The resort also has an infinity pool, swim-up bar, mini library, and for the sport enthusiasts, facilities for beach volleyball, badminton, water sports and scuba diving. For those who want utmost pampering, its Handuraw Spa offers traditional Filipino and Asian spa treatments. The Rolls-Royce Enthusiasts’ Club is an international organization of owners and admirers of Rolls-Royce and Bentley cars. 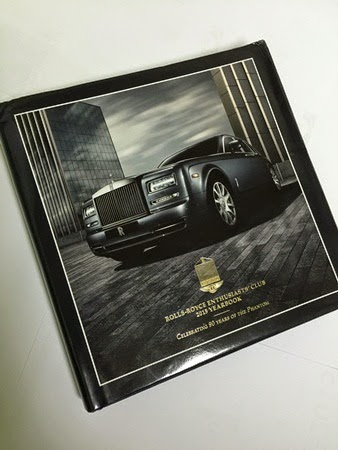 The 2015 yearbook is written by Rolls-Royce experts and motoring journalists. This entry was posted in announcement, destination, travel and tagged Bohol, press release on February 18, 2015 by Mum Travels.